I once owned a base 1990 Mazda Miata with manual steering and crank windows, but I still have fond memories of how light, nimble and fun it was to drive. When I drove the new 2016 Miata, I immediately fell in love with its driving dynamics and excellent manual convertible top system. 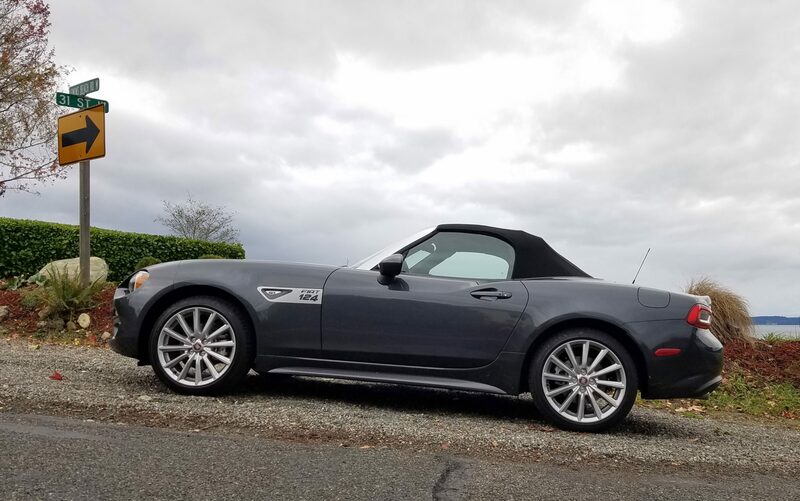 When Fiat announced details of the 124 Spider, which is based off the Miata, I wondered why anyone would buy a Japanese roadster in an Italian suit. 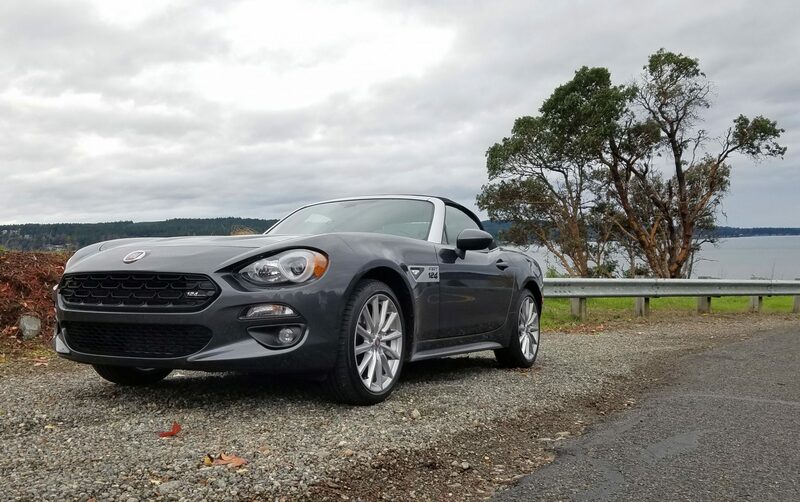 After spending a week with a 2017 Fiat 124 Spider Lusso, I’ll admit I was wrong. Platform and interior layout aside, the Miata and 124 Spider drive like two completely different vehicles. I preferred the Miata at first, but after a couple of days, my driving preferences leaned towards the 124 Spider. Fiat engineers did a tremendous job tuning the 124 Spider suspension. The car simply grips without sacrificing ride quality. In my younger days when I was able to quote Vin Diesel lines in The Fast and The Furious, I would have preferred the Miata, especially because it’s extremely easy to break loose the rear-end in a controllable manner. While the Miata provides plenty of smiles-per-gallon with its go-kart like handling, the 124 Spider feels more laid back but confident through the turns. Pop open the hood and you’ll find the major difference between the Miata and 124 Spider. Mazda chose a 2.0-liter four cylinder that revs up to 6,800 RPM whereas Fiat uses a 1.4-liter turbocharged four cylinder shared with the 500 and early Dodge Darts. On paper, the 124 Spider only makes 5 more horsepower than the Miata, but also offers 36 more pound-feet of torque at much lower RPMs. To verify Fiat’s power claims and demonstrate the benefits of a smaller turbocharged motor, I took the 124 Spider to my friends at Drift-Office in Auburn, Wash.
Drift-Office is a tuning shop that specializes in ECU tuning for tuner cars like the Subaru BRZ, WRX, Scion FR-S, Nissan 350/370Z and many others. It also has a vehicle dyno that I was able put the Fiat 124 Spider on. 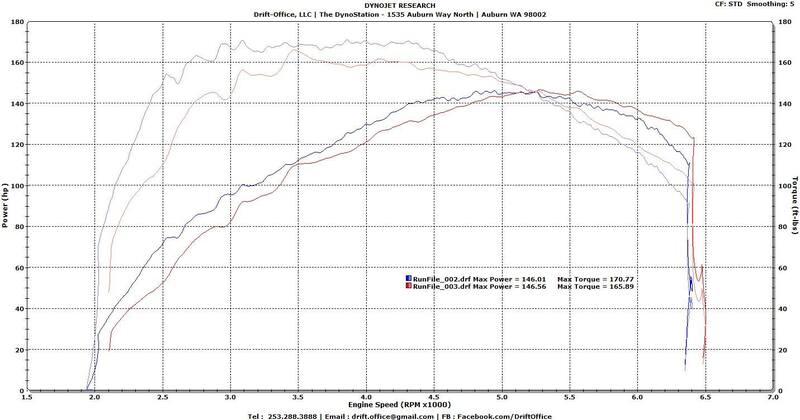 The dyno result shows the 124 Spider has a fairly flat torque curve with plenty of low-end grunt. The trade-off is power starts to fizzle off before redline. Nevertheless, the 124 Spider’s power curve suits my driving style better, now that I’m 30 years old with kids. The Fiat 124 Spider on the dyno at Drift-Office in Auburn, Wash. When I drive a Miata, I feel an eagerness to return to my boy-racer ways of yesteryear and wring out the gearbox to eek out every ounce of power from the high-revving SkyActiv 2.0-liter motor. I was a different driver behind the wheel of the 124 Spider. I found myself more relaxed and laid back and enjoying the drive, even during traffic. The motor was always ready with plenty of low-end torque, so I didn’t have to drive-it-like-I-stole-it. It could just be in my head, but the 124 Spider brought out a completely different driving personality that was more care-free than eager. Despite being a two-seater, the Fiat 124 Spider can fit a car seat. 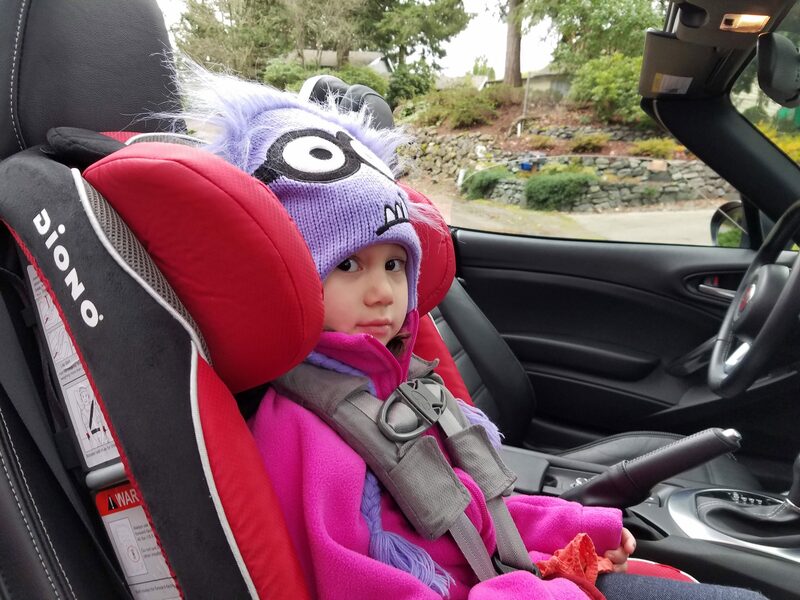 I was able to install my Diono Radian RXT convertible child seat in the passenger seat. The car’s weight sensor did its job and disabled the passenger-side airbag when my child was in the seat. It does not have lower or upper LATCH anchors for car seats, understandably, so I had to use the seat belt. Like every other modern car, the seat belt locks when it’s pulled out all the way to secure the child seat in place. I wasn’t too worried about the lack of a top anchor either, because the Diono car seats I have passed European crash tests without the top tether installed. I wouldn’t recommend using a Fiat 124 as your sole means of transporting your child, but it can do it for in-a-pinch situations. My three year old daughter absolutely loved riding in it, too. If I had to pick which to buy, my money’s on the Fiat 124 Spider. I prefer the styling, driving dynamics and motor over the Miata. If I wanted a dedicated track or autocross vehicle, the Miata would have my vote, but for a daily, the Fiat 124 Spider takes the cake. That’s not to say the Miata isn’t an excellent choice, I simply prefer the 1.4-liter turbo motor’s low-end grunt and suspension tuning at this point in my life. I can never keep a car stock, so I’m more interested in how much more power I can get out of the tiny turbocharged motor when someone finally cracks the ECU and reflash it. 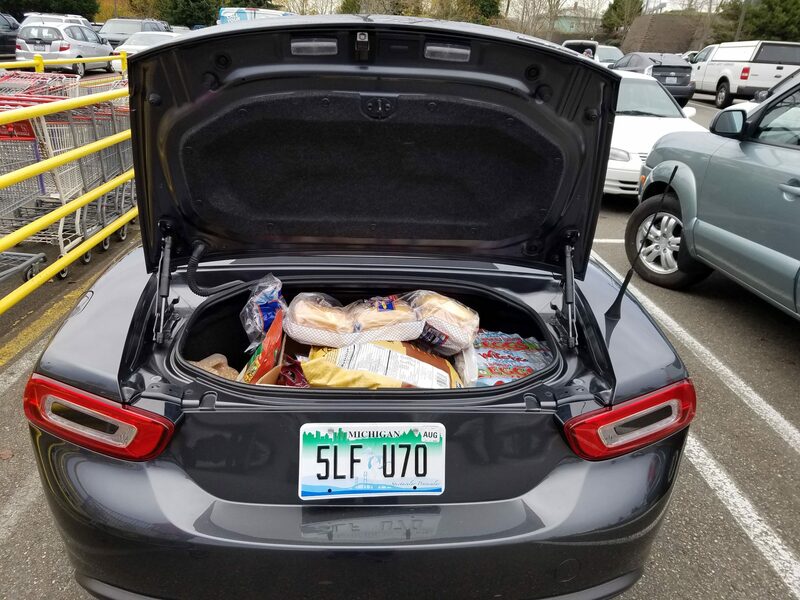 Also, it can fit a trunk full of groceries from Costco, which makes it practically a family car.